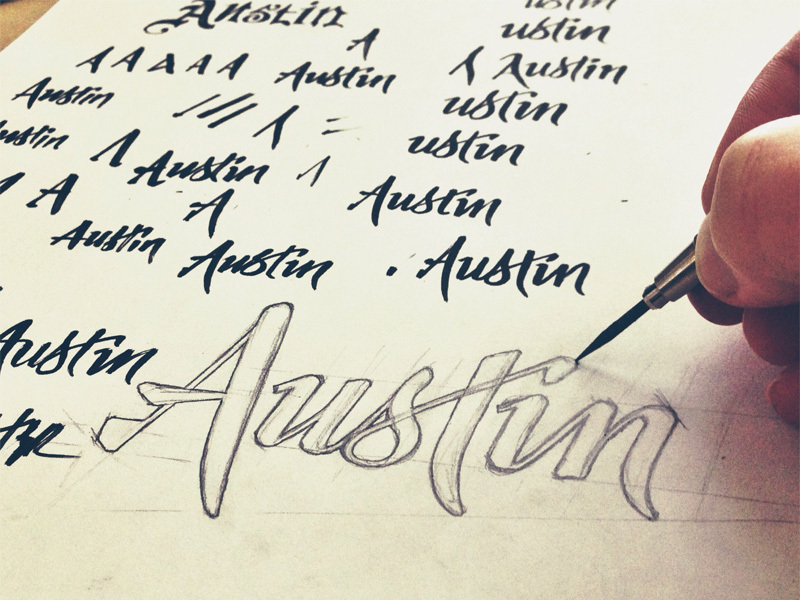 It all started when I was invited to design the announcement for the May 2013 Dribbble meetup in Austin. What would customarily be a simple lettering piece turned into something bigger. I got caught up in the concept and wanted to really refine it. I felt like I was onto something good, so I spent some days working on it. 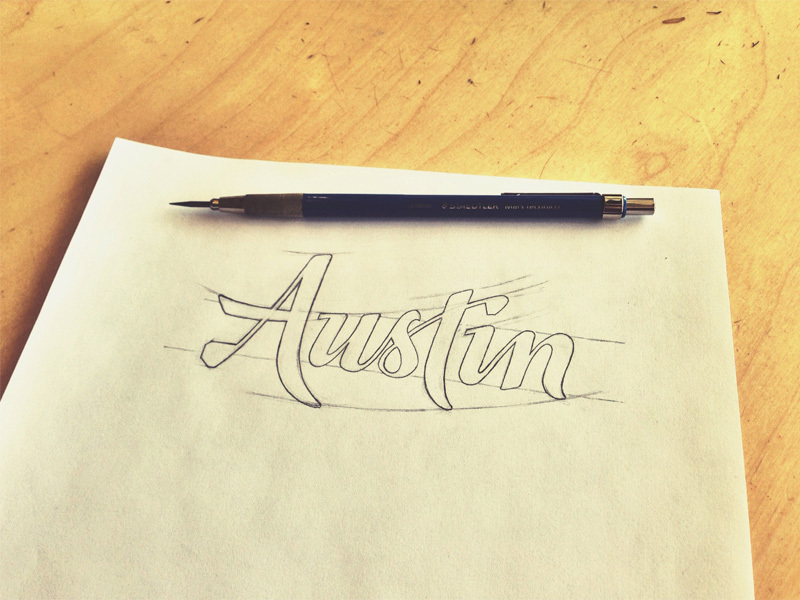 I think Austin deserves a logo. One that embodies Austin’s uniqueness, and simultaneously conveys a charming Texas authenticity. This is what I sought to create and make available. 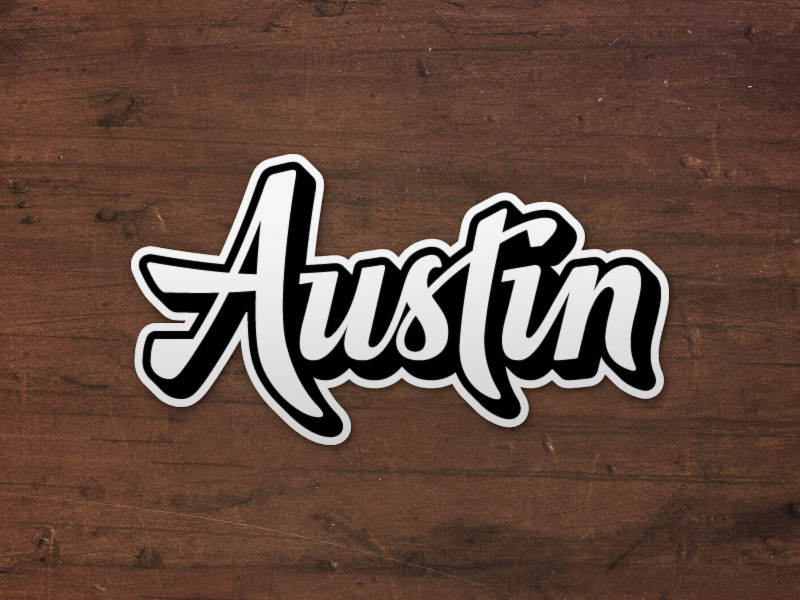 Official or not, I think there should be an Austin city logo. Why should Las Vegas be the only one? Austin deserves it. I’m not sure if a grassroots city logo is something that could ever catch on, but I’d much rather say I tried and failed than never gave it a shot. If you think the logo is cool, help spread it around. Download it, use it, put it on your gig posters or event announcements. You can also get stickers here. Basically, it wouldn’t be cool to take this and go selling t-shirts with my design on them for profit. 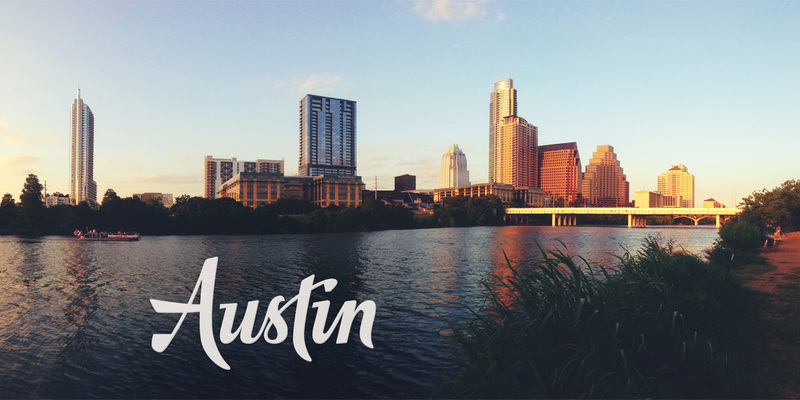 I want this to be for Austin, and to the benefit of Austin collectively—not for the financial gain of any one person of company. If you have a special case, or there’s any confusion, do contact me. I’m happy to make exceptions for a good cause.